Doubly-terminated growth on a single axis, in which various forms of the double pyramid dominate. The lack of matrix is compensated for by the great definition and brilliance of this floater. 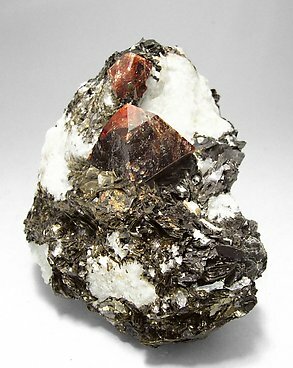 The specimen's photo has been reviewed and published in the magazine ‘Rocks & Minerals’ on page 312 in the volume 82, number 4. Two very well defined crystals on matrix formed by a prism and a dipyramid. The main crystal is partially doubly terminated. 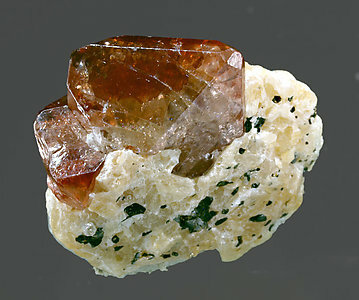 Two excellent doubly terminated Zircon crystals formed by a prism and a dipyramid, with an excellent luster and on a very rich undetermined amphibole matrix. The crystal is formed by the very well defined forms of a prism and a dipyramid. It is translucent and has slightly pinkish shades in some zones. 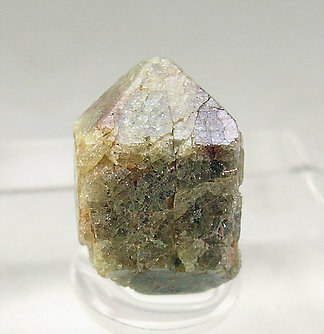 The sample is of an uncommon quality for the locality. 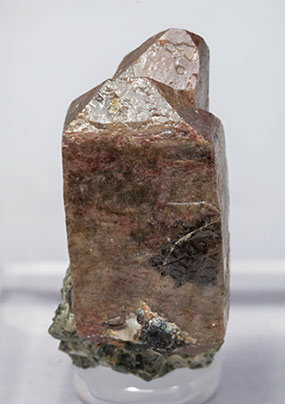 Small but very well defined and doubly terminated crystal, formed by the faces of the prism and of a dipyramid. We apologize for not offering more information about the locality. The original manuscript label simply indicates North Carolina. A novelty from Munich 2007. Excellent miniature with two dipyramidal crystals of very well defined faces and edges and great color, transparency and luster. 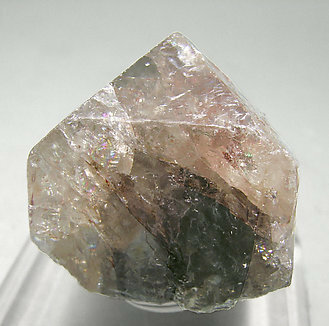 On Calcite matrix with small crystals of Mica. 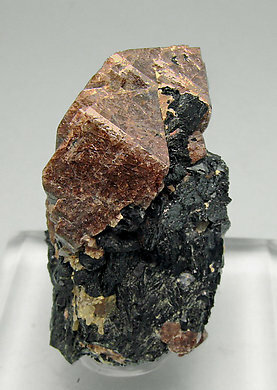 The crystals have very well defined faces and edges and are formed by two dipyramides. 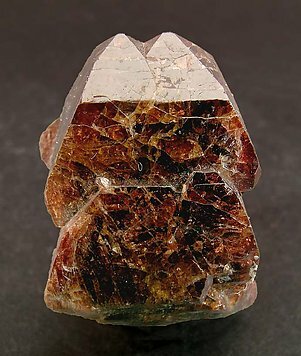 They are included in a matrix rich in Calcite and Muscovite. The sample is one of the first of the locality offered on the market, in the year 1994.